With a lot of things debatable, one thing that we can all agree upon is that this government is a government of action. With the increasing trade and globalization of India and with the all time highest boldness, India’s prestige, image has jumped up to an amazing level. However, with that, we have also fallen in the radar of a lot of terrorist groups and of course, our beloved neighbor, Pakistan! With all these advancements, improvement in the defense system becomes imperative. As a measure, the government, keeps advancing the army, navy and the air force by increasing the technical knowhow and importing ammunition from other countries. As a furtherance to this, comes the infamous Rafale Deal. The Rafale deal has been in question for such a long time, that people have been opinionating on it for a long time and from a bird’s eye view, more than a deal, it looks like a scam. This article just state the facts and leaves the conclusion for the readers. 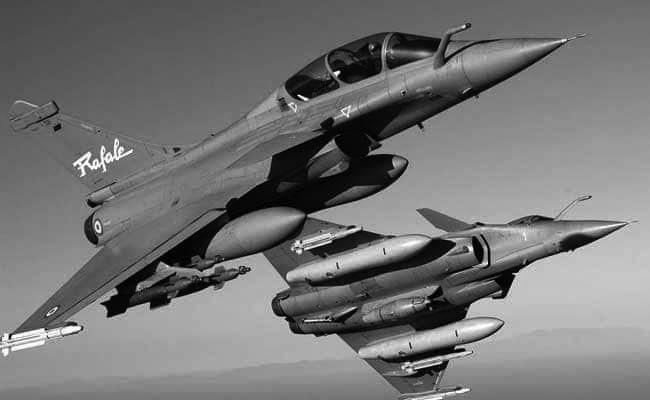 The deal goes back to the 28th of august 2007 when the Defense Ministry of India entered into an agreement with the government of France for the purchase of 126 MMRCAs (Medium Multi Role Combat Aircrafts). 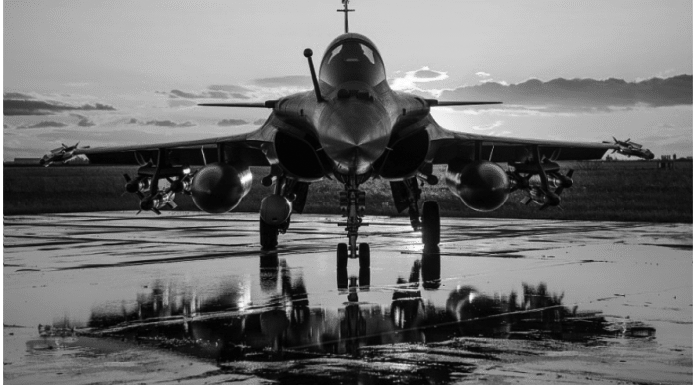 Finally, in January of 2012, the government of India made a decision and the French maker Dassault’s Rafale was chosen as it offered the cheapest price. An order was placed for 126 jets from among which 18 jets were to be given ‘off the shelf’ i.e. readymade and ready to fly ‘made in France’ jets while the other 108 jets were to be assembled in India by the technical knowhow to be provided by the French Company to Hindustan Aeronautics Limited (HAL) in India. *Transfer of technical knowhow means that rather than building the jets in France and transferring them to India, the technology by which the jets are made will be given to India so that, India can produce Jets of same caliber as Rafale. The two companies (HAL and Dassault) could not reach a final agreement and meanwhile, the government changed. On 8th April 2015, the foreign secretary said that HAL and Dassault are in negotiation and two days later, the PM went to France and released a joint statement with the government of France on 10th April 2015 rolling out the ‘new deal’ of purchasing just 36 jets of same kind in a fly away condition. This deal had an ‘Offset Clause’ in which the foreign company is supposed to spend 50% of the total amount of deal in India (in this case, the amount would roughly be 30 thousand crores). A few days later on 25th of march and on 28th march, two new companies, namely, Reliance defense and Adani defense Ltd. were formed. On 3rd October, a new joint venture was formed featuring Dassault and the newly formed Reliance namely Dassault Reliance Aerospace Limited. In June 2017, out of 30 thousand crore, 21 thousand crore were likely to be spent in this joint venture ‘which was clearly a result of Favouratism’ as the opposition put it. Everything went haywire after this when on 21st September, the former President of France said that Modi chose Reliance as a partner while Dassault denied it and said that they chose it freely while the new French Government said there was no participation from our side. Such allegations were denied by the defense minister Ms. Nirmala Sitharaman on 13th September 2018. Post this, on 21st October, Dassault said that only 10% of total investment (around 800 Crore) will go to reliance, while the rest will go to 100 different companies). The pricing of the deal has also been questioned, while in the old deal, the average cost per jet was around 526 Crore, it has risen to around 1638 Crore in the new deal. Against the 4 PILs filed, the court on 5th September 2018 ordered the Central Government to give the status report and pricing in a closed envelop. The government submitted its report on 12th November and the judgment came out on the 14th of December. The judgment stated that the Court should not interfere in this regard because it is out of their jurisdiction and the Court is not supposed to decide the price of the jets. But, apparently, there was a fact ual error in the judgment. The court said that, ‘The pricing details have been shared by the CAG and has been checked by the PAC’ but on the other hand, Mallikarjun Kharge who is a member of the PAC submitted that there was no report of the CAG which came to the PAC for inspection. Government was of the opinion that the court has misinterpreted the sealed envelope. They accidently wrote that it has been examined instead of it will be examined. After the ‘factual error’ in the judgment, the court went for the winter vacation and now the CAG has finally given its report. The CAG report finally solved the question of the pricing of the jets, it clarifies that the deal that the NDA government has entered into is actually 2.86% cheaper than the deal which the UPA government had. Possibility of Large scale corruption: CAG has not come up with any evidence which would indicate any padding. The procedure and all the minor details and paperwork which was given has got no objection and there is no major objection on the side of CAG. So there is no possibility of corruption. The Issue of offsets – Anil Ambani’s company was not in a very good condition as the company had just been established. Still, he got the contract, he might have had personal connections, or it could have been a direct result of favoritism which is still unclear and unquestioned in the CAG report. Why only 36? : CAG’s duty is also to comply with the requirements of the Defense which includes the Air Force. This question should have been asked that if buying 126 was possible, why did we just settle for 36? The CAG asked a very important question to the government which was being ignored. It stated that there were areas where the Eurofighter performed better than the Rafale. The Air staff qualitative requirements (ASQRs) in some instances were not fulfilled by Rafale but by the Eurofighter, still why did it purchase Rafale and not the Eurofighter? It concludes that the new deal of 2016 is cheaper than the early 2007 deal by 2.86%. The delivery of the jets will be faster than the earlier deal by about 5-6 weeks. In 2007, Dassault gave performance guarantee which was 25% of the cost, but now, there is no such guarantee. No sovereign guarantee has been given to India, India has compromised to a letter of comfort. *Sovereign guarantee would put a legal obligation on the French government to indemnify India in case of any loss incurred due to the deal while a letter of comfort is the same, but without the legal obligation.